Hi, my name is Ben Janson. Since completing my physiotherapy degree in 2006 I have had extensive experience in managing sports related injuries. I have completed my Masters in Sports Physiotherapy to become an APA Titled Sports Physiotherapist. 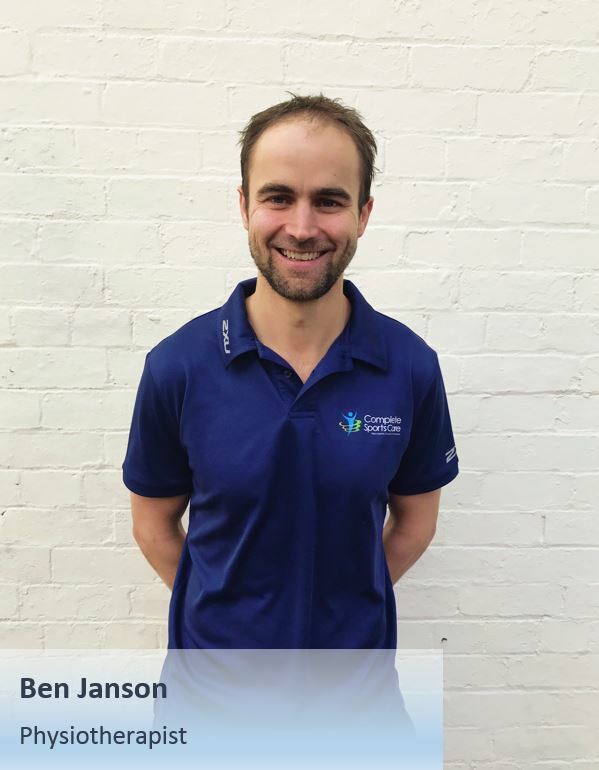 I specialise in lower limb tendinopathy, post-surgical rehabilitation, knees, hip/groin conditions and have a special interest in managing the troublesome and persistent hamstring. I am currently the Rehabilitation Coordinator for the Hawthorn Football Club in the AFL. Previous to this, I was the head physiotherapist for the Box Hill Hawks in the VFL and have worked within Tennis Australia managing junior elite tennis players. I am skilled in the use of dry needling, extracorporeal shockwave therapy and place particular emphasis on a biomechanical analysis for injury and structuring strength rehabilitation programs to optimise both recovery and performance.